While root canal therapy offers extremely high success rates, some patients have an endodontically treated tooth that fails to heal or is causing pain months or even years after successful treatment. When this occurs, the tooth is often saved by root canal retreatment. At Westerville Endodontics, our root canal specialists are highly trained and dedicated to the highest standards of care. When people with failed root canals come to Westerville Endodontics, as they often do, Dr. Vicki M. Houck and Dr. Saadia Bukhari perform root canal retreatment. The anatomic structure of the tooth's canal system can make treatment difficult. Narrow, curved, or split canals may go undetected. Tooth trauma can cause the root to fracture, which can cause an infection or cyst. New decay can expose the root canal filling to bacteria and cause a new infection, which can result from a loose, cracked, or broken crown or filling. A second root canal may also be necessary if decay and bacteria invade a tooth under a loose filling or an ill-fitting crown, which can cause contamination and failure. With root canal retreatment at Westerville Endodontics, we gently reopen the canals and remove the infection. At times, it is necessary to place calcium hydroxide as a temporary root filling and antibacterial dressing. In some circumstances, more than one appointment is required to monitor the healing progress of the tooth. Dr. Houck or Dr. Bukhari will then sterilize and refill the canals. In many cases, restorative materials such as crowns and posts need to be removed in order to get to the root canal. Our endodontic experts will always try to preserve the original crown, if possible. If Dr. Houck or Dr. Bukhari determine that your existing crown is sealing and functioning properly, a small opening will be drilled in the crown that can later be restored by your general dentist. Finally, for patients who have complex curved canals or blockage, our endodontists may recommend apical surgery, also known as apicoectomy. 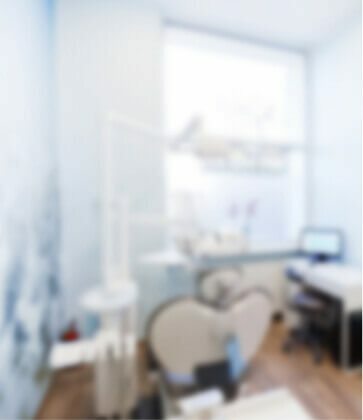 If you put off getting the endodontic care you need because of fear, you're putting your health and your smile at risk. Saving a tooth with root canal retreatment can save you time and money compared to the alternatives. If you lose your tooth, the gap left behind will need to be addressed with a bridge, dental implant, or partial denture. If you think you might need root canal retreatment, call our central Ohio endodontics office today at (614) 882-8000 or use our online form to request an appointment.